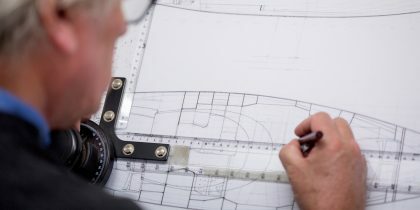 For more than a century, the design and construction of large motor yachts has become ever more complex and challenging. In the Spirit P100 design, Spirit CEO and head designer Sean McMillan has achieved clean, more modern, lines coupled with the style, sophistication and warmth of wood. With six guests in three double cabins, all of which are en-suite, guests are spoilt for choice when it comes to the spacious accommodation down below. A large owner’s cabin forward has ample storage space as well as desk and sofa for work or relaxation. Two additional cabins aft provide accommodation for four crew away from the main guest areas. The comfortable saloon has plenty of space for relaxation and is flooded with natural light from the fan sky lights above. Entertaining space has been carefully considered with the option for eight guests to in the dining room below or alfresco on the aft deck. 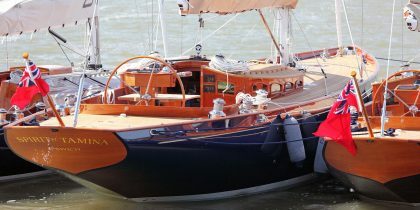 The long foredeck provides copious space for sunbathing and relaxation whether it be in a quiet bay or on a long passage. Additional sun beds on the bridge deck as well as aft deck sofas and a large swim platform add to the P100’s cruising comforts. 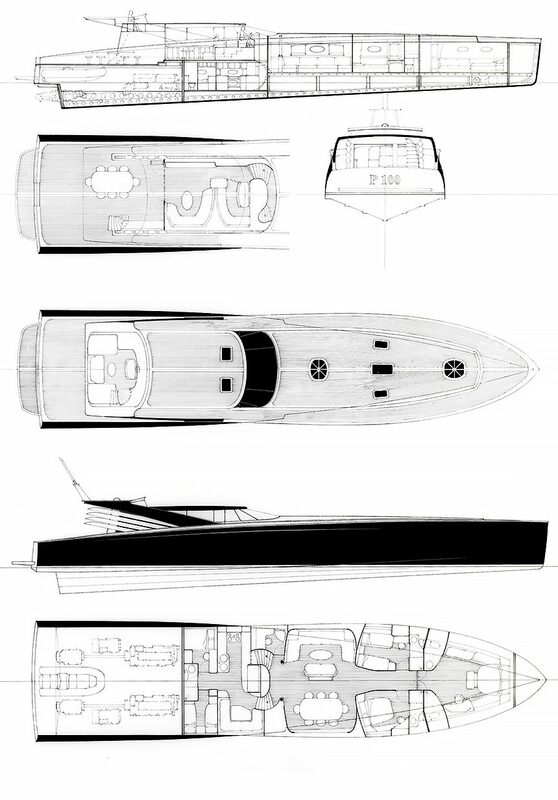 With a top speed of 48 knots, the P100 is not short on performance capabilities. Exterior and interior bridges provide options for helming depending on the weather. Spirit can custom design from a blank sheet. 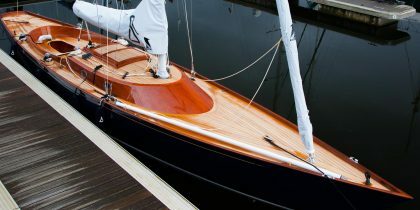 Over the years Spirit have designed a rich variety of yachts, both sail and power, which extend the scope of ‘Classic’ and ‘Deckhouse’.